:Our culture as a whole, and often the Christian culture in particular, discourages confidence in women. Tricia Lott Williford explores how confidence and self-awareness can be a path toward stronger and richer faith. She offers stories and strategies to inspire and lead women to develop the confidence to stand firm in the face of the blows, losses, and disappointments in life. 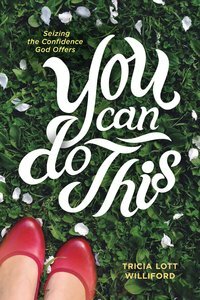 About "You Can Do This: Seizing the Confidence God Offers"
Tricia Lott Williford was an elementary school teacher before becoming a freelance editor and a stay-at-home mom. Tricia writes regularly for a loyal blog audience and is a sought-after speaker. She and her two sons live in Colorado.